Home » Website Building » WordPress » How Much It Will Cost for Running a WordPress Site? How Much It Will Cost for Running a WordPress Site? “How much it will cost to run my site?” is the first thought of every blogger and webmaster when starting a website. More than 80% of the sites on the net are not maintained and grown to the extent as it was intended while starting. One of major reason for dropping of a site is not estimating the running cost appropriately. Especially when you have chosen self-hosted WordPress it is much necessary to understand the running cost for long term. In this article we will check out all important costs incurring for running a WordPress website. Self-hosted WordPress site needs a paid hosting service to store your content. 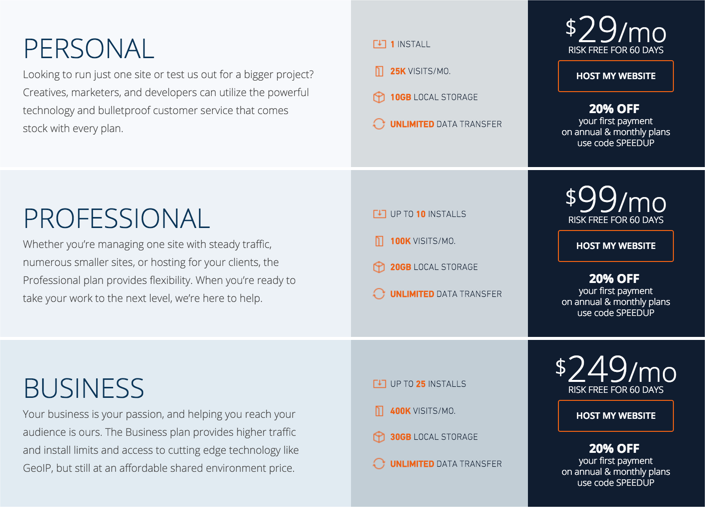 There are different types of hosting service with huge difference in pricing. Generally at initial stage you can choose one of the shared hosting platforms like Bluehost. 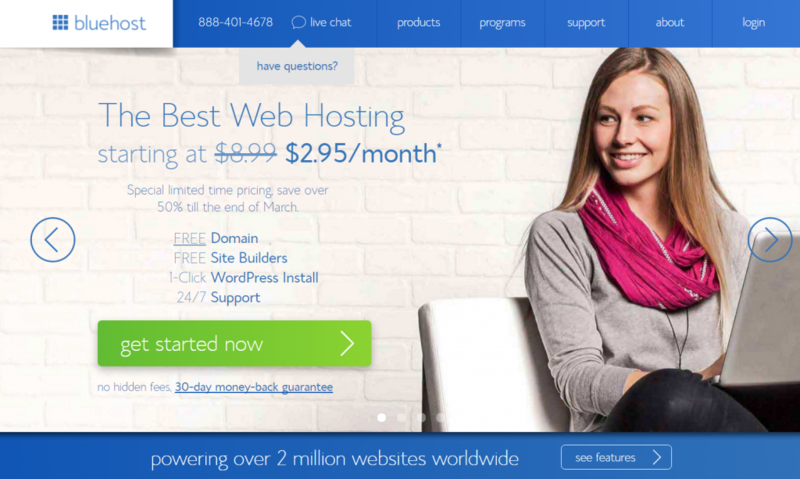 When you look at the home page of Bluehost, you can see the attractive price of $3.95 per month hosting offer, sometimes it will be even lower as $2.95 per month. Most of the bloggers overlook these hosting plans and make mistake by looking at the initial price. When you read carefully, the price offered by Bluehost and many other platforms is applicable for the first payment. The renewal price will be applicable at full rate ($8.99 as per the above screenshot). If you are looking for a high end hosting services like WPEngine, the cost of hosting can be as high as $29 per month. This is also for the restricted number of unique page views of 25k and there will be overage charges when the traffic goes beyond the monthly limit. Let us consider the lower end of shared hosting service and account $4 per month for initial term and $8 for renewal. Premium themes are updated to ensure the compatibility with the latest WordPress version. Getting support is easy for the paid themes. Both of these points are important for hosting a site for long run. A good theme cost around $50 to $80 based on the features and bundled options. Let us take the lower end of a good theme with $50 one time cost. Similar to theme, it is not possible to run a WordPress site as the way you like without premium plugins. Whether you want to have a premium SEO, caching or backup, you need to look for a premium plugins which will cost hefty amount for a nominal site. Let us consider $200 one time cost for the plugins and the support cost of $25 per month (most of the plugins offer limited support and you need to pay for extended support). An email is a mandatory option for a site owner to receive and send communication to users. Google business apps is one of the popular services and costs $5 per user per month to use white labeled Gmail service. Email service may cost less like $.399 per month on first payment with services like GoDaddy when you buy a domain from them. Again the renewal cost will be $4.99 per month which is similar to Google Apps. Let us consider $5 per month for email feature. Checking on the world’s largest domain registrar for a .com site shows that you need $11.99 per month for a domain. The renewal cost is $14.99 for a .com site. Let us consider $12 per month initial term and $15 for renewal. It is always recommended to have a private registration to have your data not visible to public. 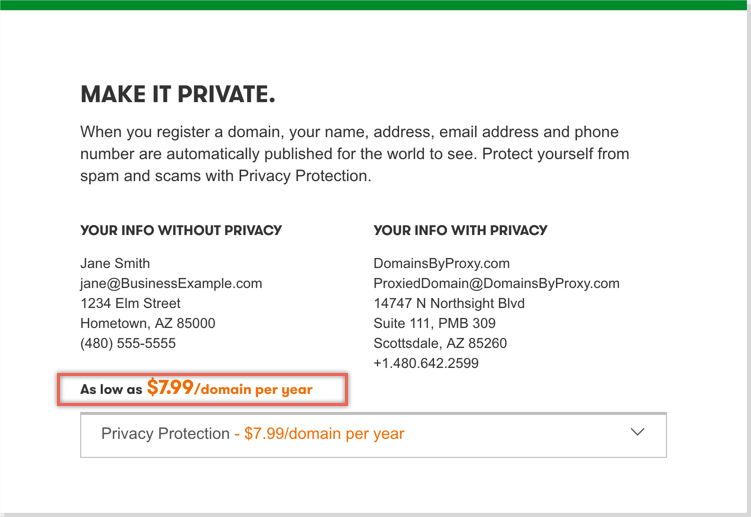 This personal privacy needs additional $7.99 per month with GoDaddy and the same will cost $9.99 for renewal. Let us consider $8 per month for the initial term and $10 for renewal. We think the above 6 things are minimum requirements in order to start a WordPress site and the below chart shows the cost incurred in detail. If you are planning to buy hosting for one year then the initial setup cost of a WordPress site will be the one time setup cost plus per year first time cost. This will be whooping $898 for the initial year. The renewing cost will be the one time setup cost plus the per year renewal cost. This will be $1006 per each year for running a simple WordPress site. For beginners the above amount will be huge for starting a WordPress site and the cost will increase when you are looking for a bundled package with hosting, email, domain, etc. from a single vendor. This is the reason people always go for a free themes and plugins to save cost and caught in wrong foot without appropriate cost estimated properly in advance. In the above calculation, you may save some amount with plugins when you do not have plugin maintenance of $300. Also if we discount $100 in the initial plugin cost the net initial setup cost for a WordPress site will be $498 for year. But running a site needs many other resources like image processing tool, video processing tool, email marketing and any other specific services you may need for your site. So when you are planning to run a website for long term, the above cost calculation of running a WordPress site will hold good with some amount may be distributed here and there. This is the perfect way to start a WordPress blog. Fantastic post for beginners. Searching a relevant theme is not that difficult but choosing a good reliable WordPress hosting provider is a serious concern. Person needs to analyze the features and cost and compare it with other providers. Bluehost is a good hosting provider, but I am well satisfied with cloudways for my WordPress blog hosting. Their speed and support are excellent.